Bob focuses his practice in two key areas. He is a commercial litigator with a particular emphasis on real estate litigation, including title insurance matters, and he is also a lawyer’s lawyer who handles various matters for lawyers and law firms, including professional responsibility matters, legal malpractice actions, defamation and First Amendment cases and claims of wrongful use of civil proceedings and abuse of process. Bob is often hired to provide legal expert opinions in matters relating to legal ethics, professional responsibility issues, legal malpractice and real estate transactions and litigation. He represents lawyers before the Pennsylvania Disciplinary Board and the Pennsylvania Board of Bar Examiners, and he is currently the co-chair of the Philadelphia Bar Association’s Guidance Committee. 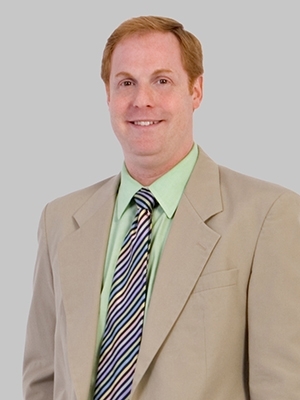 A frequent speaker and author, Bob regularly presents seminars throughout Pennsylvania on professional responsibility, the avoidance of legal malpractice, the Dragonetti Act, quiet title and title insurance. He is a co-author of the book “Wrongful Use of Civil Proceedings and Related Torts in Pennsylvania,” published by The Legal Intelligencer. Bob has held numerous leadership positions within the firm. He currently co-chairs the Pro Bono Committee, and he serves on the Professional Responsibility Committee, the Diversity Committee and the Accounts Receivable, Billing and Collections Committee. Bob previously served on the Summer Associate Coordinating Committee (former chair) and the Recruitment Committee. During law school at the University of Pennsylvania, Bob was a research assistant for Prof. Lani Guinier, served as vice-chair for student affairs of the Graduate and Professional Students Assembly and as liaison for graduate and professional students to the university trustees. Bob sits on the board of directors for Philadelphia’s Volunteers for the Indigent Program and the Tangled Title Fund Committee. He previously served on the board of directors for Options and the Senior Law Center of Philadelphia.